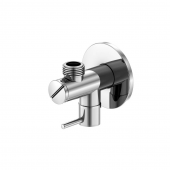 Always behind the scenes and making your bathroom work, the supply fittings in your sink, bath and other water fixtures are one of life’s annoying necessities. When you’re renovating or redecorating the room, or even fitting it for the first time, searching for your perfect combination of tiles and bath, and so on, can be quite interesting and fun. 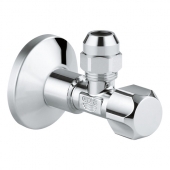 The same cannot be said for these fiddly little bits of plumbing paraphernalia that are essential to the functioning of the room, but have little aesthetic value. Many home decorators find them a chore to change, and get confused with the jargon, so it’s understandable when these invisible fittings are simply left alone. 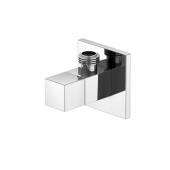 However, there’s something to be said for updating your supply fittings when you get the chance, such as when you’re already removing an existing sink unit for a redesign. That’s because without them your bathroom won’t get any water. Or even more likely, they will fail over time and the room will get far more water than intended! Therefore, when updating your design, it’s worth considering an upgrade in the plumbing department, too. Searching for discount offers online may help ensure that this investment doesn’t break the bank. 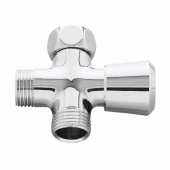 Another way to save money on changing your supply fittings is to know a little more about them. Unless you have expert help, it’s very easy to miss a part that you need, or to get the wrong thing. Having some familiarity with the parts that supply water to your sink, for instance, can help you pick the best parts, the first time around. End fittings. This is a catch-all term for the nuts, caps and other fittings that stopper a section of piping. Wall elbow. 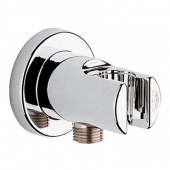 These cause the flow of water to turn a corner, usually so that the fitting on the wall diverts the water downwards into a shower hose. 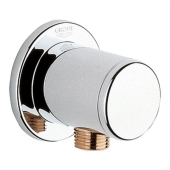 Flush valve. This is simply the part of a toilet which regulates flow from the tank to the bowl. 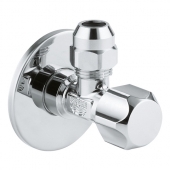 Drain valve. 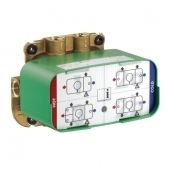 This is used to control when your bath or shower drains. Diverter. 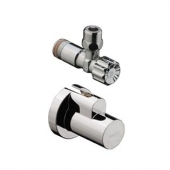 These are great for having more than one fitting from a single pipe; they simply divert or split the flow. You will inevitably come across mentions of some of these parts and maybe others as you update your room design. They may only contribute a small amount to the overall look of the room, or be invisible to a casual observer, but they are important. Remember to shop around, either on the web or in store, so that you buy quality parts at a cheap price. 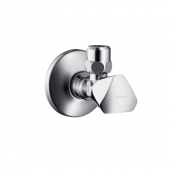 GROHE Rainshower - Shower outlet elbow 1/2"
GROHE Relexa - Shower outlet elbow, 1/2"
With a little understanding of the parts you need and a plan of action, you can find some great bargains. Always plan ahead, as this makes it easier to budget and avoids accidental purchasing of the wrong fittings or duplicates. Though these unseen parts are not exciting, they are essential, and it’s worth sparing the money for quality. 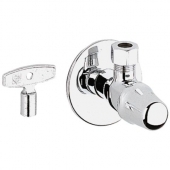 The last thing you want is to have to start work all over again to replace a breakage, or worse, to have an old pipe spring a leak and damage your new units or tiles. 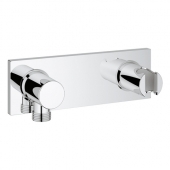 Fortunately, there are brands out there which strike a balance between affordability and quality, such as Grohe, Schell and Hansgrohe. 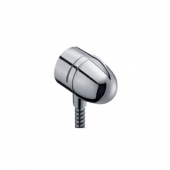 Grohe produce some beautiful elbows with a sleek, chrome design. 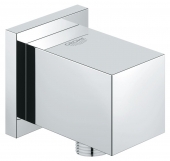 The Grotherm range, in particular, features an elbow with an integrated shower holder, which can be installed vertically or horizontally, and is protected against backflow, combining efficiency with modern aesthetics. 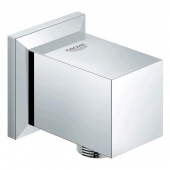 The Grohe Rainshower range includes a white elbow that could complement a white shower unit. 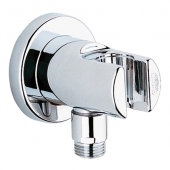 Schell are noted for durable angle valves and a smart, simple self-closing pillar tap design. These are ideal if you want a minimalist design or struggle with manual taps. 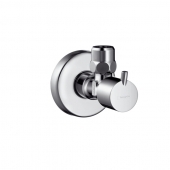 Hansgrohe fittings are great for blending into existing designs, with taps that have a choice of shapes, and won’t look out of place. 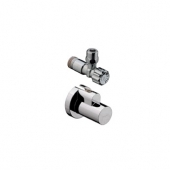 Hansgrohe also produce the Fixit stop check with backflow preventer and integrated shut-off tap. Altogether, a little planning and smart shopping can give you a brand new set of supply fittings without breaking your budget or forcing a change in your overall bathroom design. 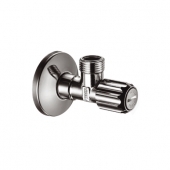 Turn the chore of finding plumbing parts into a search for the ideal design accents.